← Return to Iraq–What Could Go Wrong? “So the slave would pick up my room,” I said. And Dad asked, “What if you were the slave?” I hadn’t thought of that. Thanks, Dad, for asking me that question! 1. Although he’s over 70, Dad still walks by bouncing on the balls of his feet. 2. Dad dated women his own age instead of girls my age. 3. He coached my soccer team for years, and let us choose our own team name. 4. 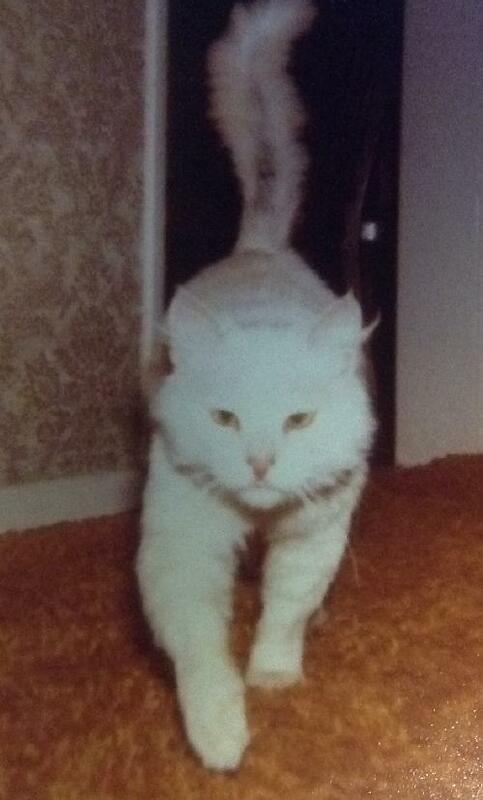 There used to be a dirty, white tomcat that hung around our house, sometimes sleeping inside during the day when no one was home. It always ran away when any of us came home. One day it got hit by a car, and Dad paid all its medical bills and adopted it. 5. He has a favorite color, and it’s orange. 6. He never let me get away with playing dumb. 7. When I was very little and wanted to play with my big brother’s Tonka trucks, Dad bought me a Tonka dumptruck. 8. Dad encouraged me to have adventures, and I did. There are more, but I’ll save them. Happy father’s day, Dad! I didn’t know that about the cat. Nice post!